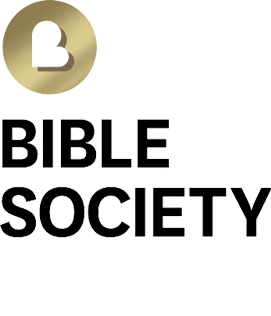 The Bible Society Australia (ABN 85 214 424 729), its related entities and business divisions (collectively, the BSA Group) respect and uphold your rights under the Australian Privacy Principles contained in the Privacy Act 1988 (Cwth) (Privacy Act) . In this policy, personal information and sensitive information have the same meanings as under the Privacy Act. This policy sets out the BSA Group commitment to you about information we may hold about you. The BSA Group will generally collect and hold information about you (whether personal information or sensitive information), obtained in person, via phone, print materials or digital platforms (including via cookies) from you or from others who provide the information to us. The types of personal information we collect about you will be directly related to the specific purpose for which it has been collected. How much personal information you choose to disclose to us is completely up to you but limited information may limit our ability to provide you with the relevant product or service. BSA Group do not generally collect sensitive information unless it is relevant and would only do so with your prior consent. pages accessed, and documents downloaded – to inform us about popular and important documents. What will we do with information we hold about you? The BSA group will never disclose any sensitive information about you we hold unless we have your consent to do so. assessing any application for employment with us. government and legal authorities with whom we are obliged to share information. By providing the BSA Group with your information, you consent to its disclosure to any recipient outside Australia. We take reasonable steps to ensure that your information is handled in accordance with the Privacy Act and our instructions. We, or third parties engaged to act on our behalf, may contact you from time to time with marketing material about our products or services, where you have consented to this or where we believe you would reasonably expect us to do so. You may opt out of receiving this material at any time by taking the steps in any “unsubscribe” instructions we send to you or by contacting our Privacy Officer. BSA Group will take reasonable steps to protect your information from misuse, interference and loss, as well as unauthorised access, modification or disclosure. This includes complying with the international Payment Card Information Data Security Standard, which covers the security of payment card systems and information. Where the BSA Group no longer needs your information for the purpose for which it was collected and we are not legally required to retain it, we will take reasonable steps to de-identify or destroy it. On request and subject to limited exceptions (under the Australian Privacy Principles) the BSA Group must provide you access to your information. You may also request an amendment or correction of information we hold about you. Requests must be in writing to the Privacy Officer. The Privacy Officer will respond to you within a reasonable period after the request is made and, if agreed, give access in the manner requested, if it is reasonable and practicable to do so. The BSA group may charge you for providing access to the information, dependent upon the recovery time, amount and nature of access required. The Privacy Officer will advise and agree with you any applicable charge prior to providing access. If your feedback is a complaint, the BSA Group will advise what (if any) action is considered appropriate or if we do not agree with you, we will provide reasons. 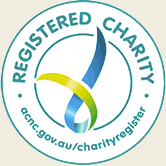 If you remain unsatisfied you can contact the Office of the Australian Information Commissioner (www.oaic.com.au). This policy is effective from 6 November 2017 but may be changed from time to time to maintain relevance and effectiveness. Nothing in this policy can be construed to limit your rights under any contractual arrangements you may have with the BSA Group or any statutory rights you have under the Privacy Act or other applicable legislation.